Delhi is a fascinating land where a variety of colorful fairs are held throughout the year. Touching different themes, some fairs are held annually whereas some underline special occasions. These fairs reflect the rich cultural heritage of India. 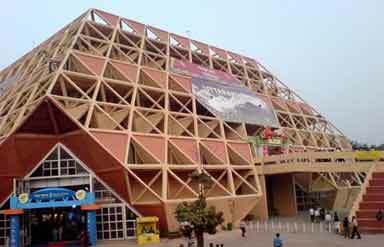 It is the most famous fair of Delhi which is held at Pragati Maidan every year in the month of November. Stretching for 14 days, this fair attracts corporate houses from across the world as participants. Different companies from different parts of the world offer their goods and services in this fair. From handicrafts to modern electronic gadgets and technology, you will find everything in this fair. It attracts lakhs of visitors. Other fairs like Auto Expo and Leather fair are also organized in Pragati Maidan. 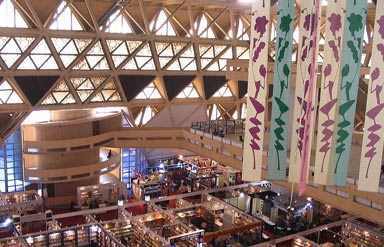 Attracting book lovers in great number, this fair is also held in Pragati Maidan every year in the month of January/February. A variety of books, study material, magazines, maps, teaching aids and computer software are exhibited in this fair. Some publishers also sell their books on discounted rates during the fair. Publishers from all over the world participate in this fair. 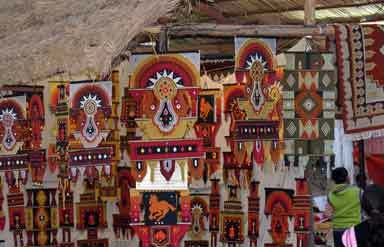 Held throughout the year, this handicraft fair at Dilli Haat exhibits beautiful and fine handicrafts from various states of India. You can buy wonderful handicrafts from here. Special events like dance, music and plays are also organized here during festive occasions like Diwali, Teej, etc. Held at Surajkund on the outskirts of Delhi in Haryana, this fair is organized every year in the month of February by Haryana Tourism. It is held for two weeks. Painters, weavers, artists, sculptors and craftsmen from all over India come here to showcase their skills and handicrafts. Dance and music are an integral part of this fair. The rural ambiance of this fair is an attraction in itself. Do visit the open-air theater at the fair venue to see the mesmerizing folk dances. Puppet shows are one of the highlights of the fair. Around 400 stalls are set up during the fair and a particular craft is highlighted every year. Held in the Mehrauli in Delhi, this festival consists of a procession taken out by flower sellers down the flower seller’s promenade. It starts with the recital of the shehnai (an Indian musical instrument). After that flowers are offered at the temple of Jog Maya and then the procession is taken out in the Mehrauli Bazaar and finally the procession comes to an end at the tomb of Saint Qutubuddin Bakhtiyar Kaki. Curtains made of flowers are offered at the tomb. The wonderful attractions of Phoolwalon ki Sair are qawwalis, dance, fire dancers and acrobats. Held in the month of July every year at Talkatora stadium, International Mango Festival attracts many a visitors. Dedicated to taste buds, this festival brings around 500 varieties of mangoes under one roof. It also marks the season of mangoes. It is a wonderful festival organized by the Delhi Tourism for three days in the month of October/November. Held at the world famous Qutub Minar, this festival highlights dance and music performances. Such uplifting performance with the backdrop of the majestic Qutub Minar is a great treat to the eyes. It is another fascinating festival organized by the Delhi Tourism in the month of February. Held at Talkatora Stadium, it exhibits a wide variety of beautiful flowers like dahlias, rose, bonsai, potted plants, home plants, etc. The mesmerizing views of the colorful and beautiful flowers will surely rejuvenate to the hilt. Other highlights of this festival are painting competitions for children, children’s programs and cultural shows. 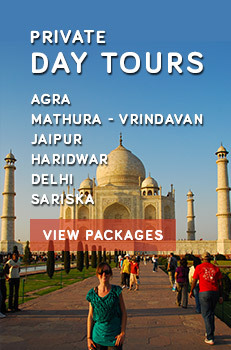 Caper Travel India offers a wide range of North India Tour Packages. For more details, send us your query.